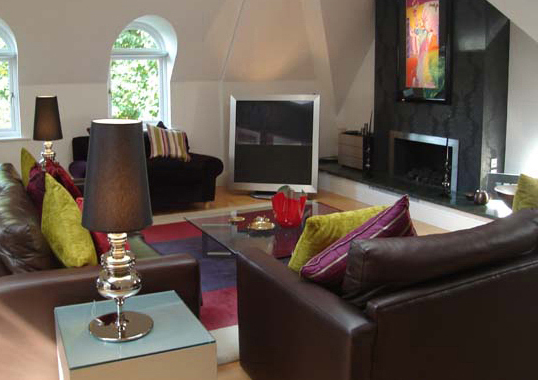 Adrienne Chinn is a well established independent, London-based interior designer. She applies her natural talent for colour coordination and in-depth knowledge of style with equal success to residential or commercial interior design. She treats all projects with the same high level of professional commitment and delivers high quality interiors that fulfil the brief. Her policy is to comprehensively explain her fees in a detailed letter of engagement that allows you to make informed decisions regarding her design services. Adrienne knows that the interior of her clients' homes should be a place where their own personalities and interests and reflected. In many cases Adrienne's clients have never before used an interior designer, but her method of creating concepts that she uses to inspire the the design for all their rooms makes it easy for the client to immediately immerse themselves in what becomes a truly engaging and enjoyable process. Inspired interiors require the designer to reflect the spirit of the property whilst telling a story which is unique to the people that choose to live there. Such an integrated design cannot exist without an empathetic concept. And building the right concept is the domain of a truly talented interior designer. Adrienne also specialises in sourcing of 20th century antiques and accessories, including: Art Nouveau - Art Deco - Hollywood Regency - Mid-Century Modern - Seventies Glam.